“The Visit” is a Cinematic Time-Lapse Short Film In The United Arab Emirates By Beno Saradzic. ” ‘The Visit’ is a short time lapse film, featuring the arrival of the fabled UAE fog in Abu Dhabi and Dubai on various occasions between 2013 and 2014. There are many wonderful subjects one can photograph or film in the UAE. Some of the most spectacular structures and sand deserts on this planet are here. But every cityscape, landscape, architecture or travel photographer in the UAE or from abroad will tell you that one thing they’d like to shoot more than anything else in the UAE is the ‘rolling fog’. This natural phenomenon appears all over the world but mainly in nature and in mountainous regions. In the UAE though, the fog turns cities into scenes from Sci-Fi films. Its arrival is highly unpredictable and while there are methods of forecasting it, they are hardly reliable and can never be fully trusted. 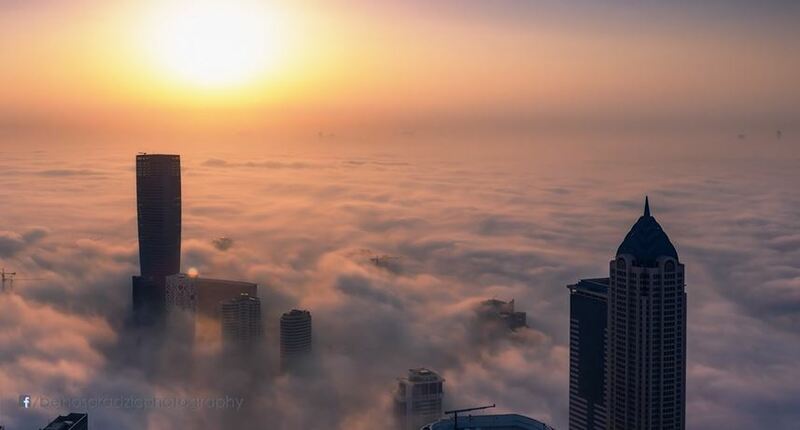 That’s why many experienced UAE photographers keep track of the humidity and temperature which under certain conditions, leads to the formation of fog. The rest of the time goes into scouring for rooftops and spending many sleepless nights waiting for the ‘magic’ to happen. It’s hard work, as you can imagine. 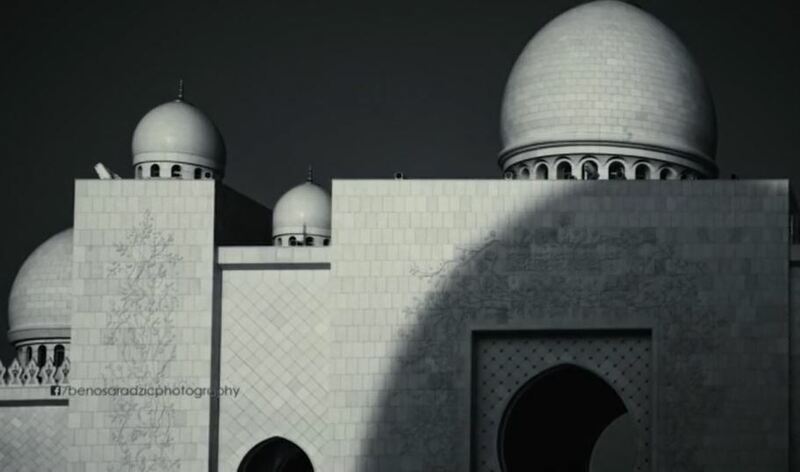 “The Voyage” is a Cinematic Time-Lapse Short Film of the Sheikh Zayed Grand Mosque In Abu Dhabi Directed by Beno Saradzic. “‘THE VOYAGE’ started out as a collage of disjointed time lapse sequences, shot over several months in early 2015. I was teaching myself new ways to move the camera, using existing and newly developed motion control systems. Once I had enough material on my drives, I decided to create a short film. I’m always aiming to create a more immersive, intimate way of experiencing the scene as it unfolds in front of the camera’s lens. Instead of entertaining the viewer with high-impact, dynamic and highly stylized scene transitions, I prefer a calmer, linear approach to visual storytelling. I’m a great fan of David Lean’s and Stanley Kubrick’s films. The works of these two filmmakers have had a profound influence on my appreciation of film. I was particularly fascinated with the precision of composition and framing of each scene in all the movies they ever made. I admired the way they crafted and shaped the light, like classic painters on canvas. Both filmmakers were known for their patience and waited for the moment to happen spontaneously, and then they would let it linger and play out on the screen. Their philosophy, where nothing is rushed, translates so well into time lapse filmmaking.